Every month, or so, we've introduced you to one of our charitable giving partners. With the start of the school year coming up, we thought we'd tell you about the iBELIEVE Foundation, an organization whose work is near and dear to our hearts. The rate of Appalachian students attending college is as low as 35%, nearly half the national average of 63%. Clearly, there's some kind of disconnect happening in Appalachian schools and communities, and with more and more high paying jobs requiring applicants to have post high school education in order to be considered, it's imperative for the survival of Appalachian communities that their students do succeed in college! Founded in 2011, the iBELIEVE Foundation was created in order to tackle this discrepancy and provide more opportunities for Appalachian youth. What originally began as a single summer camp opportunity for 36 student leaders has blossomed into a multi-year program that has provided thousands of students educational and learning opportunities to grow their 21st Century skills and build a network of student leaders. The current program focuses on getting Appalachian schools involved in developmental programs for their students. Administrators in participating schools choose students who have leadership potential, who need support to become college bound, and/or students who can make a positive impact on their school's culture. These students then sign on to a three year commitment of summer programming. Each workshop is a five day, four night camp held on college campuses across Appalachia in June/July. Attending these camps on college campuses gives students context for learning and helps build excitement for attending college in the future! Using donations and support from corporate sponsors, iBELIEVE has managed to make attending their camps free for every student, including meals and lodging. Students are only asked to find transportation to and from the camp. iBELIEVE believes that no one should miss out on the opportunity to further their education, regardless of economic resources. All of the workshop programs are based on concepts of experiential learning. The iBELIEVE team has created an all inclusive learning atmosphere that is based on the conviction that all students have a natural potential for learning and that true, meaningful learning must be holistic: it must include thoughts and feelings. Notably, they also believe, "Knowledge that is self-discovering and socially-supported is the most meaningful and is most likely to make a difference in behaviors." Between 2011 and 2015, only 22.6% of individuals in the Appalachian region had completed their Bachelor's degree or higher. Meanwhile, of the students that participated in iBelieve between 2011 and 2015, 94.1% completed at least a Bachelor's degree. 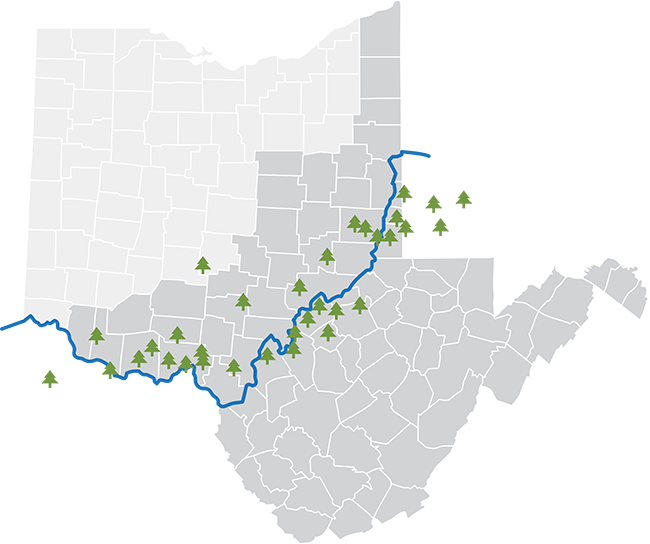 We're incredibly proud to be a part of iBELIEVE's mission to move mountains and create positive, generational change in Appalachian communities! To donate to iBelieve and help them move mountains, click here.